Seriously, y’all, if we wanted an eventful first show, well this one delivered. The week of was an absolute comedy of errors, with my day-job being turned upside down thanks to some executive decisions, a couple late-night benders including one that ended in a flat tire, and a lesson that included Jack and I both almost eating dirt (sand) in one spectacular miss. We arrived at the show in good time, and Jack seemed content to munch hay outside the trailer while I did some seriously last minute cleaning (because, see above: flat tire) so I looked presentable enough not to embarrass the trainer at our first outing in 8 months. Ha! I was worried about tack- that’s funny. That’s tomorrow’s post. Jack and I entered the warm up with about 25 minutes before our test. Not as much time as I’d like, but still enough for a schooling BN CT. He was fairly tense, and walking wasn’t quite the distraction he needed, so I quickly warmed up enough to canter and just let him move those muscles, and surely enough he started the settle some. The person ahead of me headed over to the dressage court, and the ring steward hollered that I was on deck, and then all hell broke loose. Yup. 25′ from us, one hot headed MF started bucking, sending his rider up onto his neck where she somehow stuck on for 3 bucks before hitting the dirt. I dismounted, not trying to be some hero and realizing that I might be the next rider off, given that my 17h yellow creature was blowing at everything in sight and his tail was straight up in the air. That’s a long way to fall, thank you very much. At that point, there was no real way to get back to any sort of relaxation. I got back on and attempted to soften Jack’s bran with some leg yielding circles and transitions, but all of the sudden I was sitting on a rather long, tall, yellow brick with anxiety coursing through its veins. I can’t tell you in detail how the test went, but I can tell you that I exited thinking I had earned my first 40. I knew there were a couple good moments, but it was definitely only 50% compared to the tests we’d been practicing at home. I was bummed knowing that we weren’t getting a score that reflected all the hard work of late. Imagine my surprise that the judge loved us. What can I say- maybe she likes yellow ponies. Maybe our turnout gave us bonus points. Maybe the few good moments were in all the right places. I don’t know. But we were in 2nd after dressage out of 20 competitors, and I honestly wondered if they had switched my score with someone else’s accidentally. And so ended the dressage phase of our first show back. I think given everything that happened just before your test, it was a lovely test. Sure, he was a bit tense (it probably felt much worse for you than it looked to me), but he was obedient and he held it together! 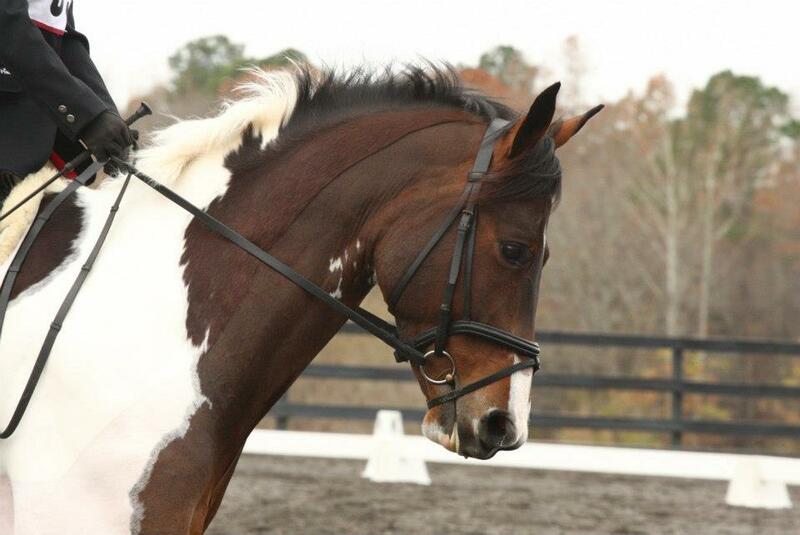 He looks a little tense but definitely no worse than my much more seasoned horse looks in any given dressage test lol. Considering the circumstances I think he held himself together really well! He looks pretty good to me! I agree with other commenters that he looks nice! And I also have had the experience of coming out of a test sure we bombed, then finding out later we placed quite well. So funny! It just reminds me that you never know what the judge sees. you tease!! I want to know the WHOLE story not just a part 🙂 HA! and wow I hate when a horse gets loose (it just throws off the whole day in my mind). I would have totally jumped off too (and mine is only 15 hands). I was taught at an early age to jump off when a horse is loose and I don’t think my brain would do anything else. HA…. UGH but the bucking and the loose horse not to mention you didn’t have enough warmup time. YIKES I have tension reading all that 🙂 I think Jack looks great and if he is a bit tense I don’t blame him.